A lot of the recipes I found were packed with too much rice, sauce, or even pasta. As the girlfriend of a serious meat eater, I wanted to eliminate most of the fillers, and stuff the peppers with tons of protein. Finally, I found Dear Chrissy’s recipe on Pinterest. Not only did the photos of her peppers look delicious, I also loved her idea to add sausage to the stuffing. As you all know by now, I make recipes my own by adding flavors I am craving at the time. 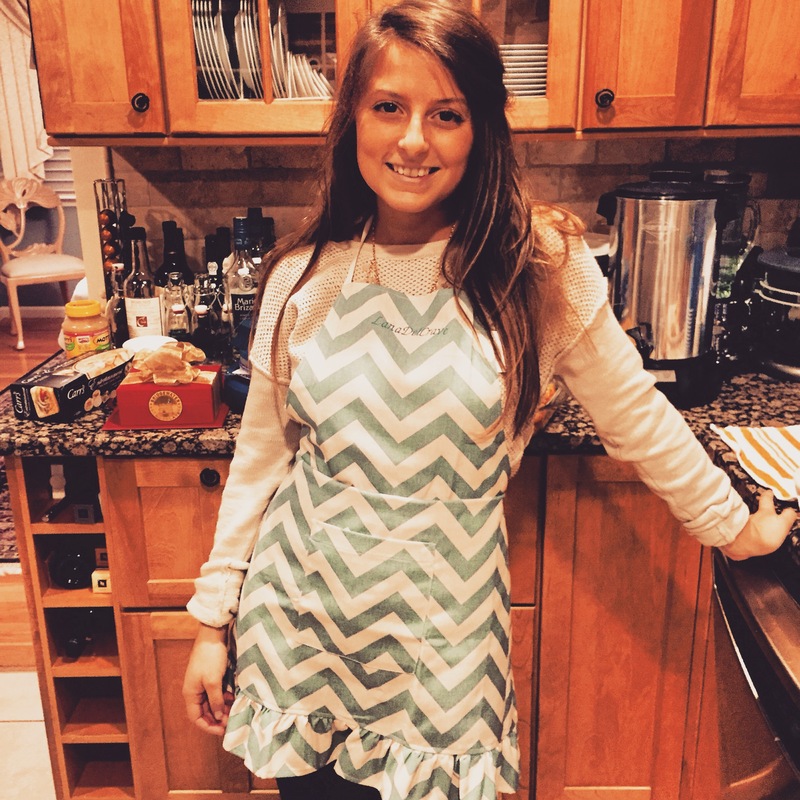 As a half-Italian gal, I am always craving the comfort of Italian food! 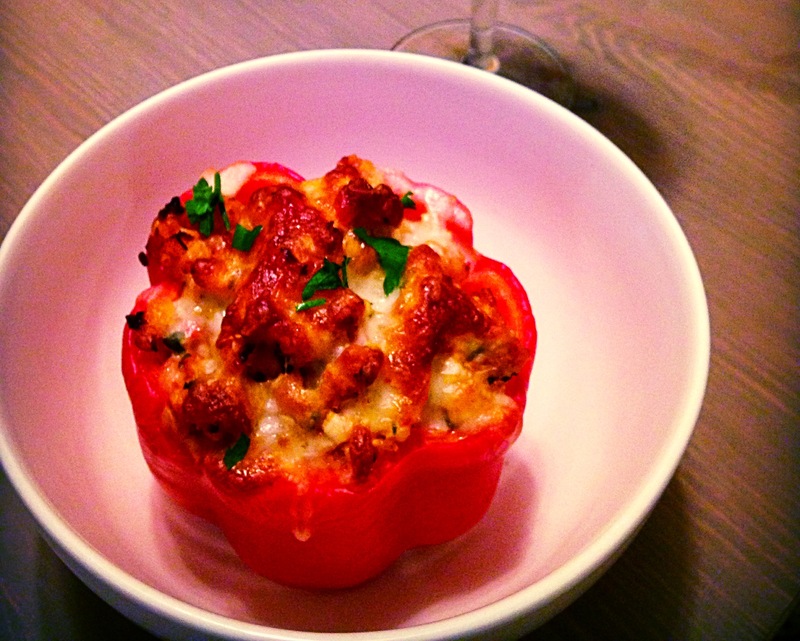 I took Dear Chrissy’s stuffed pepper recipe and successfully turned it into an Italy-inspired dish. I may have eaten two in one sitting. The potato masher is back. As mentioned in a previous post, I use a potato masher to brown meat in a pan rather than a wooden spoon. Meat sticks to wooden spoons making it harder to clean, plus it takes more time and energy to break-down the meat. It may sound strange, but the potato masher will make this task much easier! Be creative! 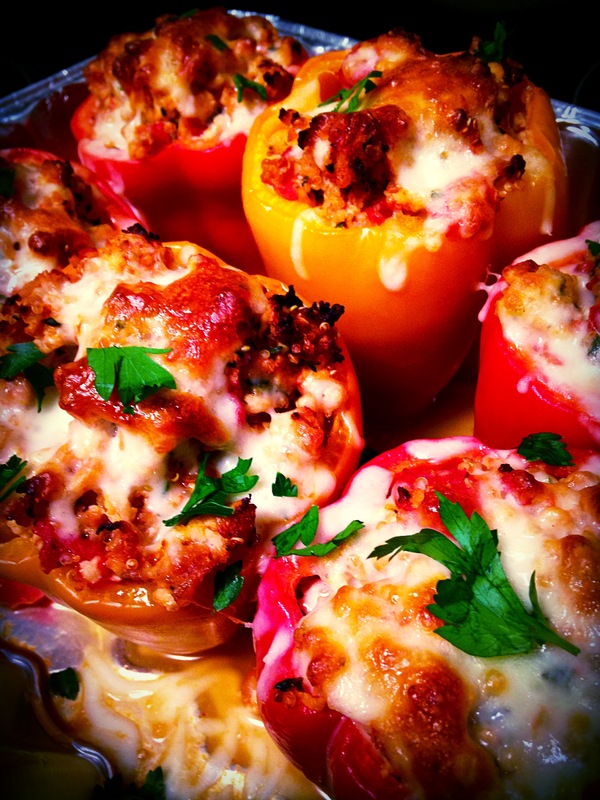 Stuffed peppers are a blank canvas for you to add any flavors and textures you’re craving. Use Pinterest for inspiration! Preheat your oven to 375 degrees. Cut the tops off of your peppers and trim the bottoms so they stay flat in the baking dish. 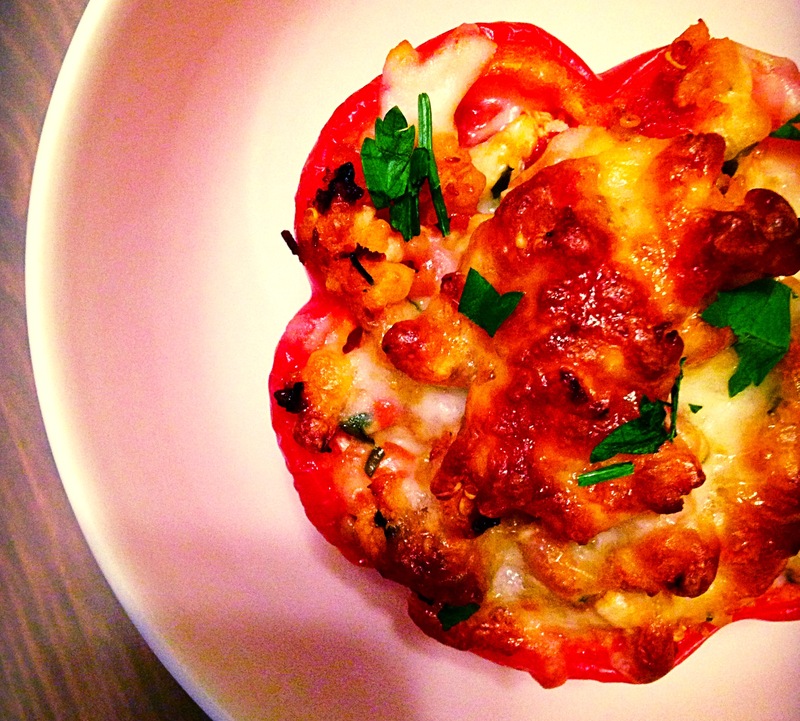 Place the prepared peppers into a baking dish and set aside. Cook the quinoa by adding it to a small pot over medium-high heat with 1/2 cup of liquid. Note: I use vegetable or chicken stock for more flavor but feel free to use water. Once the quinoa/liquid mixture comes to a boil, reduce the heat to low, cover with a lid, and let sit for a few minutes. You'll know it's done once you open the lid (be careful of steam) and the quinoa has absorbed all of the liquid. Fluff the quinoa by gently running a fork through it. Remove from the stove and set aside. Add EVOO to a large pan over medium heat and brown the chicken, sausage, garlic and onion. Once the chicken is cooked, stir in the diced tomatoes and 1/2 cup of the mozzarella cheese. Season with salt and pepper. 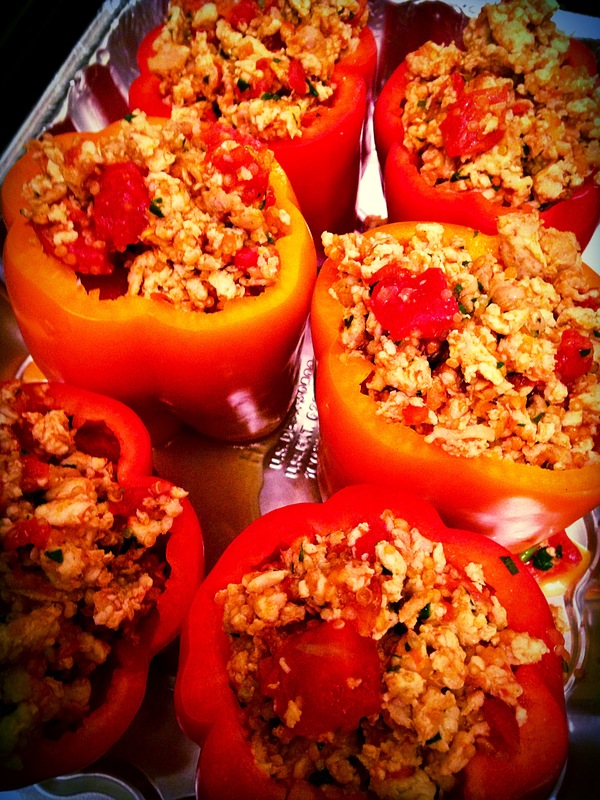 Fill each of the prepared peppers with stuffing, cover with tin foil, and bake for 40 minutes. Remove from the oven and take off the foil. Sprinkle the remaining 1/2 cup of cheese atop each pepper and bake uncovered for another 15 minutes, or until the cheese is bubbly.